The newest arrival is a little baby boy. The new little brother will look cute in his I'm the Little Brother onesie, tee shirt, or sweatshirt. Shirt comes in white only. 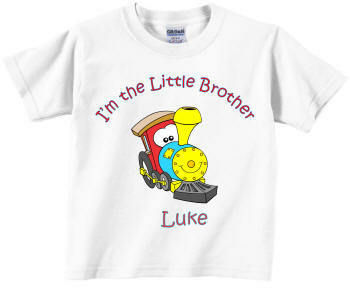 These Little Brother shirts can be personalized with baby's first name. Orders are personalized with a first name and ship in 24-48 hrs.